You can use the same methods outlined in the case study to better engage with your audience and move them from passive audience member to engaged customer. This case study helps you to learn by example. You'll find actionable tips to bring in more leads – and turn those leads into dollars. 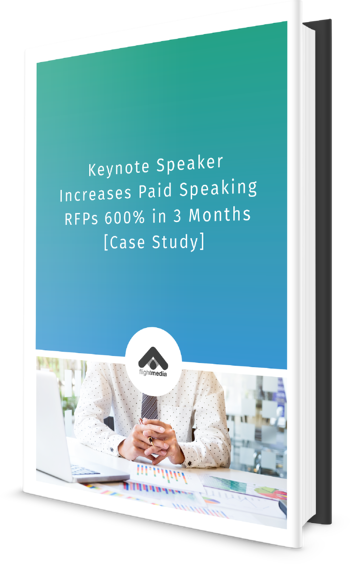 Get the help you need to sell more products and services through your website, just like the subject of our case study. 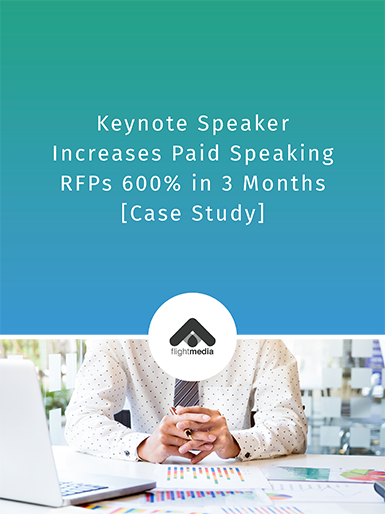 Pulling in $10-$20K per speech, the keynote speaker wanted to increase revenue and financial stability. But as a busy business owner, the keynote speaker couldn't do it all. And he knew it. He reached out to Flight Media for help creating a strategic inbound marketing strategy that would carry his business into the next decades.